Deborah Gitlitz, storyteller. Deborah is a public youth librarian, early literacy trainer and library consultant who loves stories in any form. She has over 20 years’ experience in the library field, including 15 with our local Multnomah County Library, and a Master’s degree of Library Science from Indiana University. She’s shared stories in libraries, schools, and childcares; in graveyards, backyards and multipurpose rooms; along trails and around campfires; and (maybe her favorite) with family around the dinner table. Currently coordinating a grant to improve Spanish-language library collections statewide, Deborah also works as a Community Librarian for the city of Wilsonville, where she uses her Spanish and storytelling skills to connect the community and the library in new ways. It is not unusual for her to wear costumes at work. Musically, Deborah is a hobbyist ukulele player, leading a long-standing sing-along at a local retirement home; and a lifelong choral singer, most recently with the Intergenerational Women’s Choir and the Portland Lesbian Choir. Travel, singing, birdwatching and hiking are among her favorite things. Lynda Hess, flute. Lynda began playing the piano at age 7 and joined the school band in 4th grade, playing the flute. She got her BA in Music from Cal. State U Sacramento and MM in flute performance from University of Oregon. 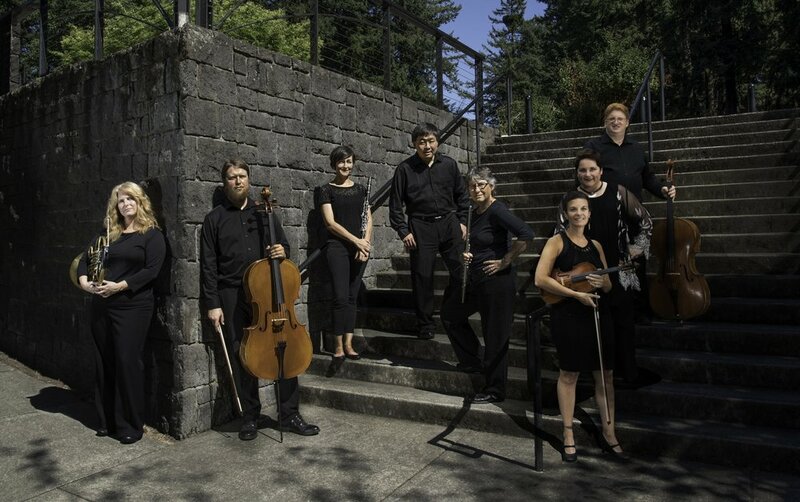 Lynda also attended University of Oxford Comparative Music Education Program (England); Orff Institute (Salzburg, Austria) and Western Oregon State University. She is a member of American Orff-Schulwerk Association and International Society for Music Education. Lynda also plays in a woodwind group “The Chinook Winds Trio.” Lynda taught public school music for 31 years and continues to teach at the Community Music Center in southeast Portland. Jennifer Crockett, clarinet. 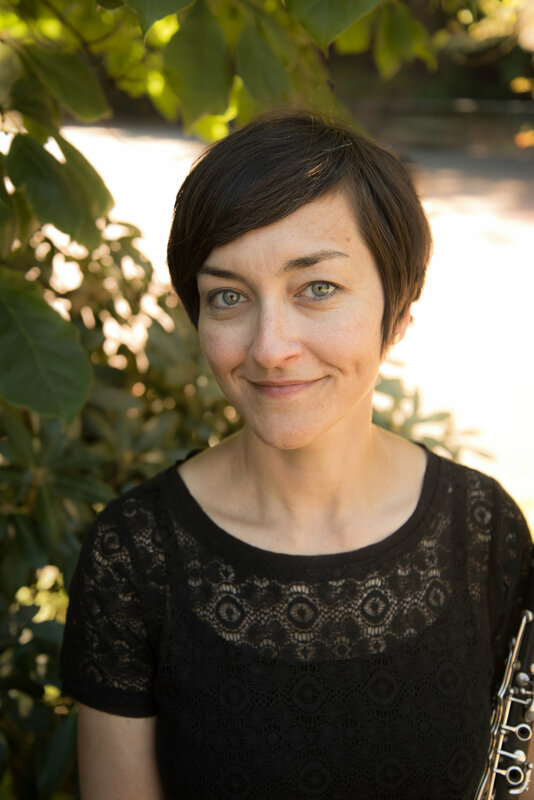 Jennifer currently plays clarinet and bass clarinet with the Walla Walla and Yakima Symphony Orchestras, along with teaching clarinet at the Portland Waldorf School. A graduate of DePaul's School of Music under a Performance Award Scholarship, Jennifer also has an active recording career with such local bands as Horse Feathers, Other Lives and Alameda. In addition to performing and recording, Jennifer was also a founding member of the AFM Local 99 Portland's "Fair Trade Music" campaign. Jennifer is currently the Executive Director of The Liberty Theatre in Astoria, Oregon. Regina Sadowski, violin. Regina is a Bronx native, holds a Bachelor of Music degree from the Manhattan School of Music in violin performance and a Master of Music degree from the University of Michigan in improvisation. Performing on multiple instruments throughout the United States, Europe, and Asia spanning such genres as classical, contemporary music, reggae, folk, electronic music, jazz, and free improvisation, Regina has performed with The Galatea Ensemble, Friday Group, SEM Ensemble, School of Hard Knocks, Newspeak, Talujon Percussion Quartet, Taylor Haskins, Henry Threadgill, Charlie Hayden, International Street Cannibals, and Crossings. She has performed at such venues as Carnegie Hall, Lincoln Center, BAM, SOB’s, The Wetlands, La Mama, St. Mark’s Church, Town Hall, St. John the Divine, Dance Theater Workshop, Dixon Place, Irondale Center and in the International Music and Dance Festivals of Venezia, Edinburgh, England, San Francisco, New York, and Los Angeles, and in The New York Shakespeare and The Williamstown Theatre Festivals. Regina has recorded music for film, appears on numerous CDs and records, and has had many pieces written for her. She has collaborated with writers, dancers, and choreographers, including Brett Helquist, Todd Craig, Chris Peck, Keith Thompson, Stefanie Nelson, Emily Berry, Yoshiko Chuma, and John Jasperse. Throughout her years as a musician she has worked closely with many composers including David T. Little and Oscar-winning composer Tan Dun, premiering his works Soundshape and the Bessie award winning Jo Ha Kyu. Regina has composed pieces for solo violin, string orchestra, jazz ensemble, chamber music, and numerous works for dance. She is currently living in Portland, Oregon. Jonathan Cheskin, cello. Jonathan is a professional cellist and teacher living in Portland, OR. He holds an M.M. in Cello Performance from the University of Idaho, a Ph. D. in Music History from the University of Chicago. Jonathan has performed with many orchestras including the Vancouver Symphony in Vancouver, WA, with the Washington-Idaho Symphony in Pullman, WA, the Portland Columbia Symphony in Portland, OR, the Woodstock Chamber Orchestra in Woodstock, NY, the Greater Newburgh Symphony in Newburgh, NY, and the Prometheus Symphony in Berkeley, CA. He served as conductor of the Hyde Park Youth Symphony in Chicago, and as Teacher Coordinator of the Palouse Suzuki Strings in Pullman, WA. 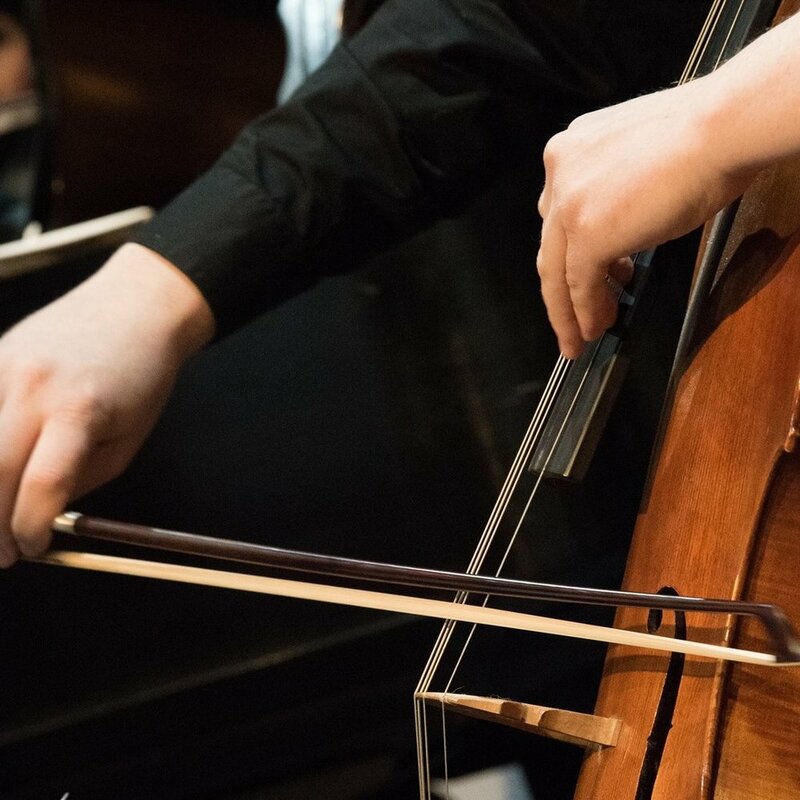 Jonathan is a certified Suzuki Cello Instructor and has served on the faculty at the Idaho Suzuki Institute. He currently teaches at the Community Music Center in Southeast Portland, the Alliance Charter Academy in Oregon City, OR, and has a private studio in Southeast Portland. Jonah Thomas, cello. Jonah Thomas is a cellist living in Portland. He performs with the Vancouver (WA) Symphony Orchestra and as a chamber musician for PCM. His teachers have included Marion Feldman, Bonnie Hampton and David Ying. He holds a Bachelor’s degree in cello performance from the Juilliard School. Jonah is also a composer of chamber and solo piano works. Michael C. Liu, MD, piano. Michael was born in the Chicago area and started piano at the age of 4. He was fortunate to have won several prizes and awards in his youth that allowed him the opportunity to perform in the U.S. and abroad. His primary teachers included the late George Banhalmi and English pianist Ian Hobson. He attended Tanglewood and Meadowmount summer music programs where he developed his love of chamber music. In his youth, he was featured as a soloist with the Chicago Symphony Orchestra, the Taipei City Symphony, the Sinfonia Orchestra of Chicago, Wheaton Symphony, and others. He was later able to perform as soloist with the Rochester Symphony, Guam Symphony, and Vancouver Symphony (VSO) here in Washington. Dr. Liu received both degrees in chemistry and music prior to attending the Mayo Medical School and Graduate School of Medicine in Rochester, MN. He worked on the island of Guam for 4 years helping to care for an underserved population prior to moving to Vancouver. He is a faculty/professor for the Family Medicine of SW Washington Residency Program at the PeaceHealth Medical Center enjoys the teaching of medicine in addition to the caring of patients. 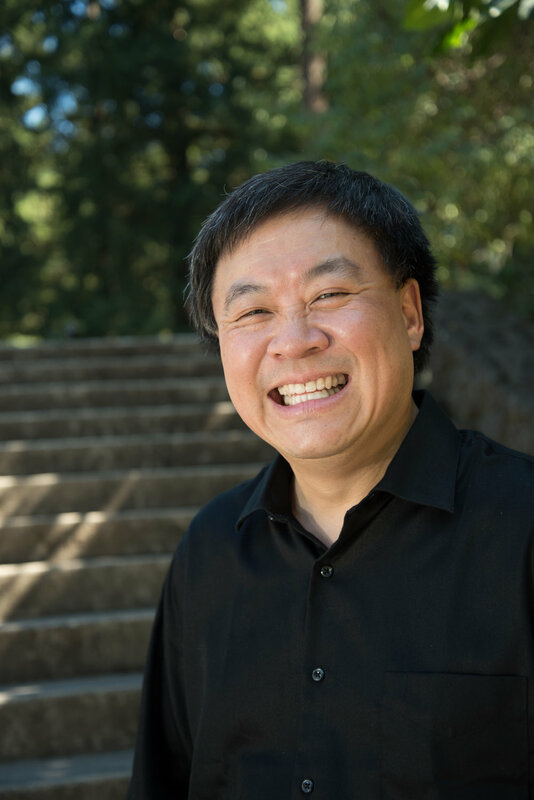 Dr. Liu has been a long-time orchestra member and board member for the VSO. He and his wife Nien-Wei have been tireless supports and advocates for the VSO and the arts in SW Washington. He is a member of several smaller music ensembles including the Lohr Trio, a violin-piano duo with Dr. Thomas Hwang, and also a doctor jazz band called the MED Trio Plus. Anya Kalina, soprano. Being the only daughter of two Russian opera singers, Anya started studying music at a very early age. Growing up she made several vocal recordings with Russia’s biggest recording company and appeared in a number of television & radio programs and live concerts as a vocal and piano performer. She earned her degree in Vocal Performance and Pedagogy at the Academy of Fine Arts in Moscow, Russia before moving to Los Angeles in early 2000s where she continued her education and performing career. 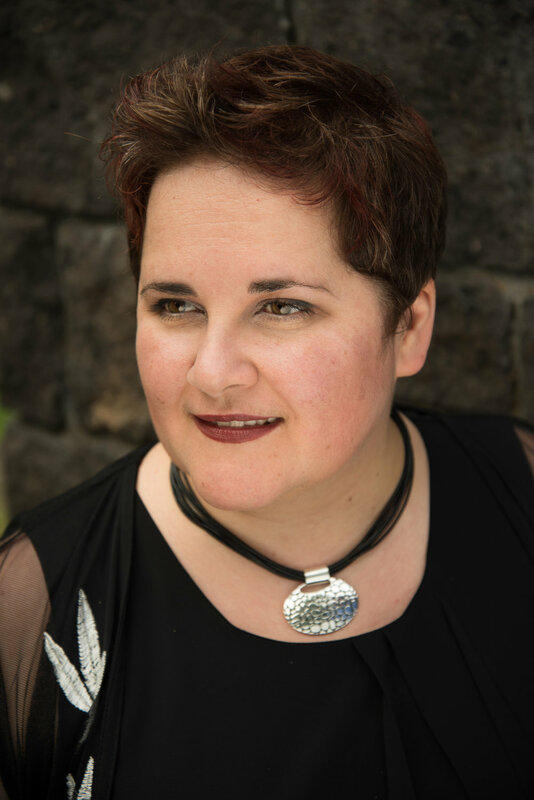 Although classically trained, Anya takes equal delight in singing opera, musical theater, cabaret, rock and art songs, Russian and world music, and loves to experiment with genre expectations. She particularly likes to collaborate with other artists. With years of performing and teaching experience under her belt, Anya loves teaching voice to kids and adults of all walks of life. As the Executive Artistic Director of PCM, she is passionate and enthusiastic about making chamber music accessible to everyone. Off stage, you can bump into her cheering on her teenage kids at a ball game or a band concert and enjoying the outdoors of the magnificent Northwest. We are always looking for experienced community focused musicians to join our performing group.